← JOIN ME AND THE NEW ENGLAND HORROR WRITERS AT ROCK & SHOCK THIS WEEKEND! 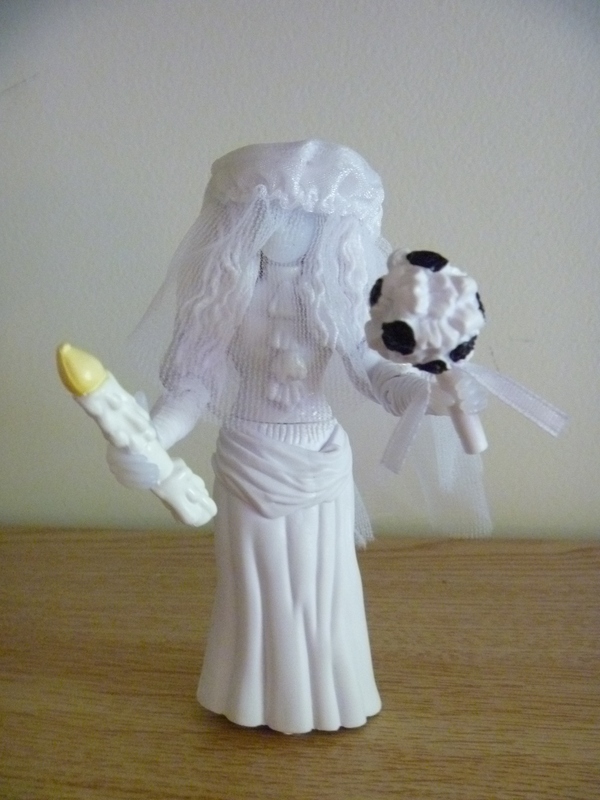 Walt Disney World Haunted Mansion's Bride Action Figure. October may be a strange time to choose to put GhoStory Guru on hiatus, but this month, I decided to do a special five-part series on Disney’sHauntedMansionand the real ghost stories that may have inspired some of its scenes. The series runs every Monday, and on Sunday, October 30, 2011, I’m releasing a never-before-published short story from the original Tales from Haunted Disney World collection called “Grave Error,” written just for Haunted Mansion fans. Here are the links to episodes #1 and #2 of “A Lit Look at the Haunted Mansion.” Enjoy and have a safe and happy Halloween! Posted on October 13, 2011, in GhoStory Guru, Skeletons in the Swimmin' Hole -- Tales from Haunted Disney World and tagged Ghost Stories, Halloween stories, Haunted Mansion Bride, Walt Disney World Haunted Mansion. Bookmark the permalink. Leave a comment.